Individuals who are new to website development will often compartmentalize the web page and fill every available space with either text or graphics. After all, why shouldn’t you maximize the site design by including as much information as possible? There seems to be an underlying fear that if there is ‘white space’ the website will look incomplete. The term white space is a common term in publishing. 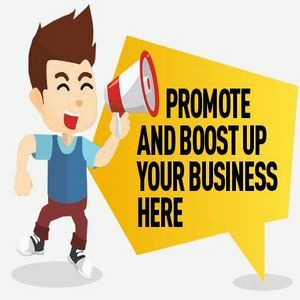 For instance when a newspaper is developing an advertisement they will seek to allow for some areas of the advertisement to be free from text or graphics. Most publishers have learned that white space provides a sophisticated look while drawing attention to a very specific selling point. The best way to describe it is to use music as an example. There are times when musicians will use a very roots-oriented approach to their music. They may sing with only a guitar. This approach of stripping away everything else helps the listener experience a more intimate encounter with the music. Sometimes adding more actually reduces the overall effectiveness of the music or, in the case of web design, the message. If your online visitor has to take a significant amount of time to locate the important information they hoped to find on a web page they will likely lose interest rapidly. Cable television contains reality television shows that attempt to help individuals sell their property. In most cases the very first thing the experts note is the clutter that may be distracting guests from visualizing the possibilities of the property. The experts will generally paint rooms a neutral color and most of the furnishings are removed from the home. The episodes generally end with the homeowners with a contract and very impressive reviews from those attending an open house. Many web designers are reverting to a more minimalist approach to their webpage design. The use of links is a key strategy while removing unwanted clutter. The use of great photos and a significant amount of organized white space allow visitors to concentrate on the reason they came to the webpage in the first place. Another reason white space may be an important element in site design is to allow for the inclusion of advertising. If you fill every available space you eliminate advertisement from being a consideration on your webpage. In effect you may be driving away customers and advertisers at the same time. For some, the thought of intentionally carving out white space in a web design requires a new way of thinking. I would encourage you to take some time and visit some of the most successful websites and see how much white space exists. What can you eliminate from your site design that gives it room to breathe?.